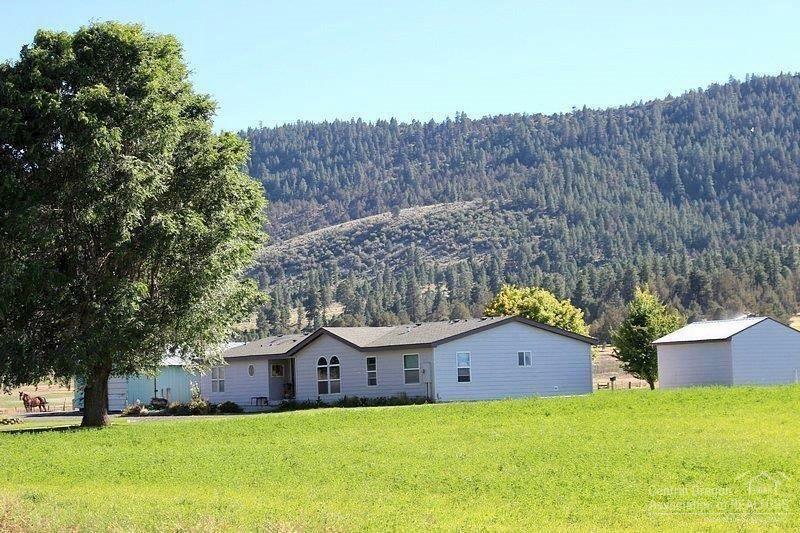 3bed/3.5bath, 1980sf manufactured home with an open floor plan sitting on 75+ acres w/74ac's of irrigation. Alfalfa is crop planted at this time. Garage and shop/storage building. 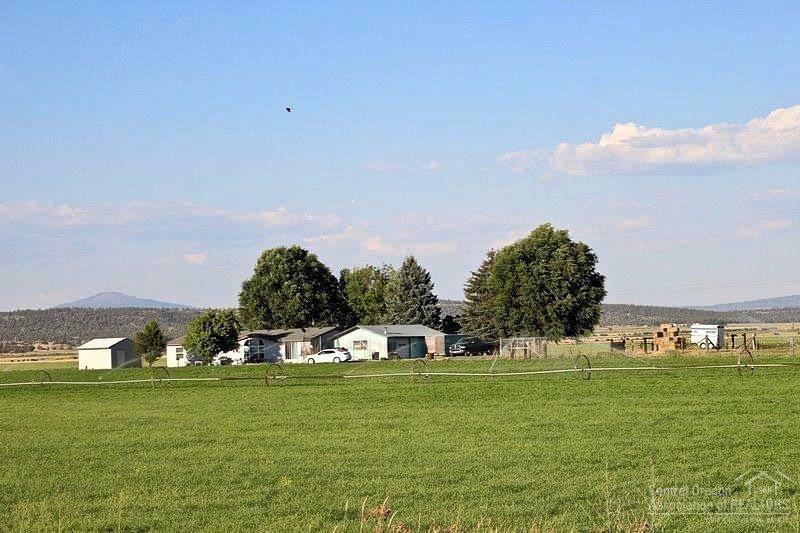 Small separate pasture for horses or 4-H animals. 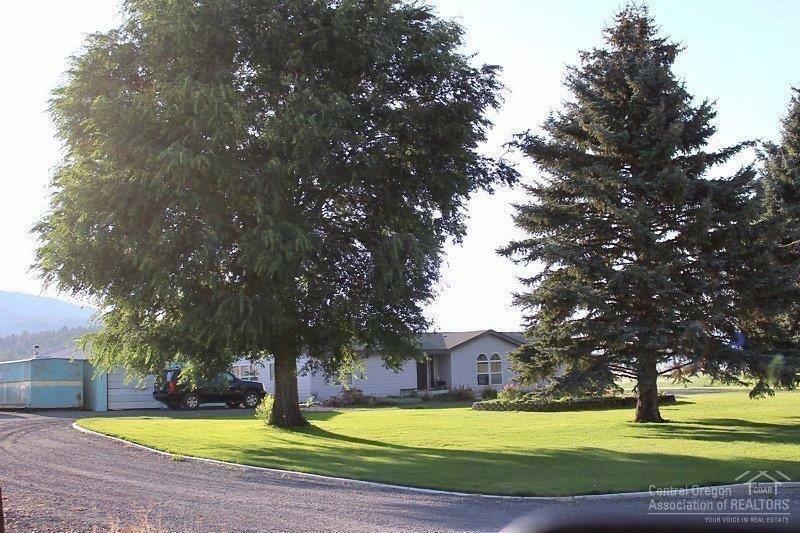 Pumps, wheel line, hand line and main line included. 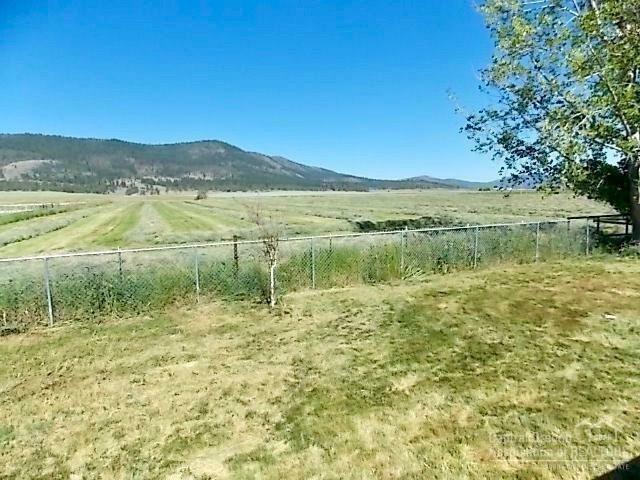 Fenced with nice views and easy commute to Klamath Falls & Henley Schools.